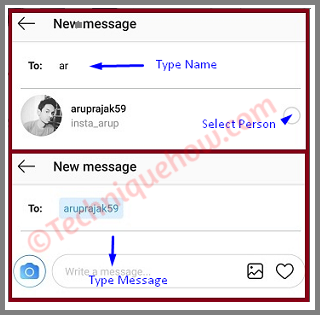 How to Check Direct Message on Instagram? Besides the sharing of photos, the Instagram app recently introduced the feature of direct messaging from its app. Yes, you can now send DM on Instagram directly to any users either you're following him or not. But the issue is, the feature comes only with the mobile app. There are multiple ways you can send direct message on Instagram from your computer or PC. The method is really easy. You don't need any web version trick, this is possible by using third-party software on your Windows PC. Instagram goes by a very strict policy, it won’t let users upload their profile picture from the desktop web. But, Instagram allows users to direct photos, conversations, videos to with the help of Windows 10 application. For mobile devices, you can easily download and send messages to people directly using four different methods. Open the Instagram app on your PC. Go to the top right corner of the application where see 'Arrow' icon. Once you have clicked, this will open an Instagram Direct window. Just tap on 'Send message' button. Now the New message window will pop. Just type the letters for the name of your friends then select the person from the list to send messages. Now you can type the texts to send to your friend. You can also send images or sign into the messages. Another feature that Instagram is planning to implement is, replying direct messages with pictures and videos that you have saved as your story, now there have been many talks but there has been no actual confirmation. Maybe Instagram is working on a plan that will enable people to do this using the desktop app. But, the process to use the Instagram app for Desktop? 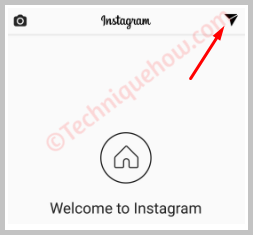 How to Install Instagram App on your Windows PC? You can use any android apps on your PC by using a third party software called BlueStacks. 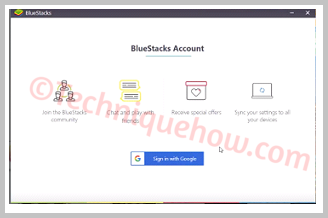 Step #1: Download BlueStacks application from the following link. Step #2: After completing the download install BlueStacks in your PC. Step #3: After you have successfully completed the installation sign in with Google. Step #4: Now search for Instagram from your Blue Stacks account. Step #5: Download and install Instagram and sent messages to anybody you want. If you are facing the problem with this you can always refer third-party site like the Instizamiser on your desktop. In order to use Instizamiser to directly message someone on Instagram, download the APK file and run on your device. Note: This application has been renamed as the Instagram MOD in recent years and here is the link of the application. 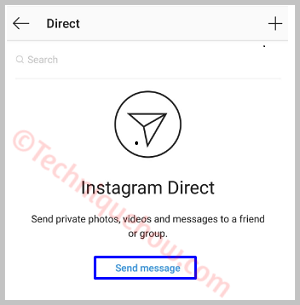 How to Check Your Instagram Direct Messages? The updated version of Instagram allows its users to video call along with the previous direct messaging facilities. It is allowed only on the app—mobile version. Many of the features are restricted to the mobile phone only and hence you cannot direct message (DM) over the web. On your home page, you’d find blue coloured notifications on the top right-hand corner (only) if you have some messages or message requests pending. People who mutually follow each other can DM each other easily, however, if it isn’t so then you receive a message request from the person. When opening up the messaging tab you’ll find yet another icon of 3 lines and circles on the top right-hand corner. Among various options on this one, one particular option says ‘message requests’. It is up to your discretion whether you want to ‘accept’ or ‘decline’ a message request that you have received. If you accept the request then you can chat with the person with ease. However, if you do not accept the request, there is no way that the person would come to know that their message and/or message request has been declined. If you decline a message request then the message ‘if any’ gets deleted from your account automatically. You can mute certain message notifications for a particular people or can mute message notifications all together as per your convenience. Now, get set—DM. Techniquehow.Com: How to Check Direct Message on Instagram?